Published by Mountainblog on 04/10/2019 . As part of its newly-launched focus on plastic clean-up, the European Outdoor Conservation Association (EOCA) has launched a public fundraiser to raise money to help reduce single use plastic. 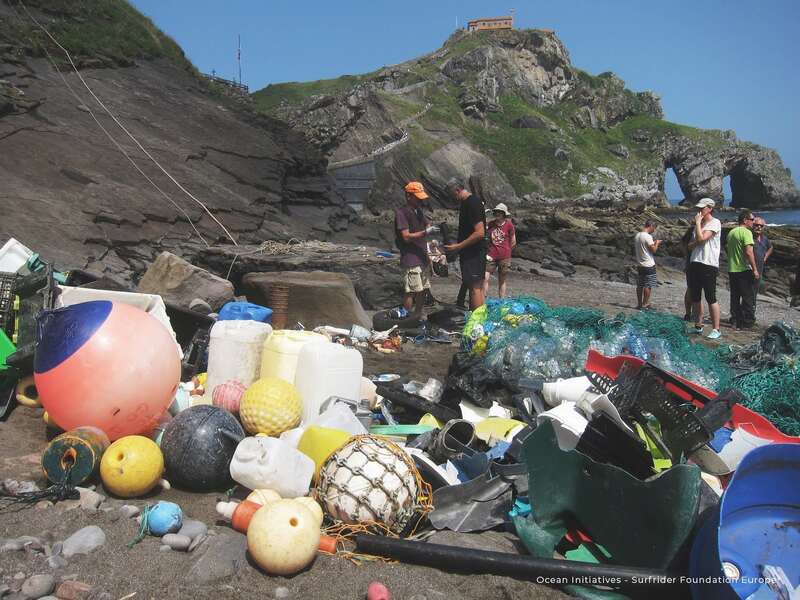 The project, part of Surfrider Foundation Europe’s ‘Ocean Initiatives’ programme will work to raise awareness and educate thousands of people through waste collection and clean-up events. As an organisation raising money to look after the health and well-being of the planet, EOCA is committed to playing its part in achieving the UN’s Sustainable Development Goals. SDG 14 (Life Below Water) is one of those highlighted by EOCA as of utmost of relevance to its own vision and new focus as it aims to “prevent and significantly reduce marine pollution of all kinds, in particular from land-based activities, including marine debris and nutrient pollution”. EOCA is calling on individuals and companies to donate via their website to fund this ambitious project. Every €10 donated via EOCA will help fund an area of 50 metres squared – the area of two olympic size swimming pools!– of clean-ups. Please see the donate button on www.outdoorconservation.eu or www.eoca.de . There is also the option to go onto www.oceaninitiatives.org to find a clean up event to get involved in. Published by Mountainblog on 04/01/2019 . 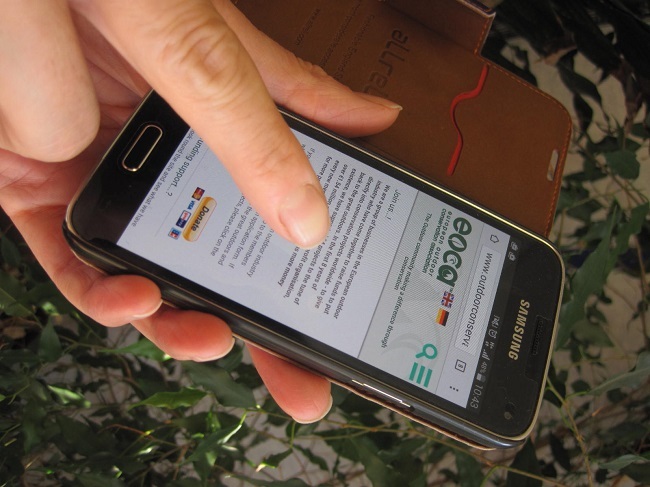 The European Outdoor Conservation Association (EOCA) has launched the first of its two annual public online votes to help it choose which conservation projects to support, and will to midday (GMT+1) on 11th April. To launch its new Plastic Free: Mountain to Sea focus, this funding round only highlights projects which tackle plastic pollution – involving mass clean up events, education and campaigns to change people’s behaviours and attitudes to plastic waste. 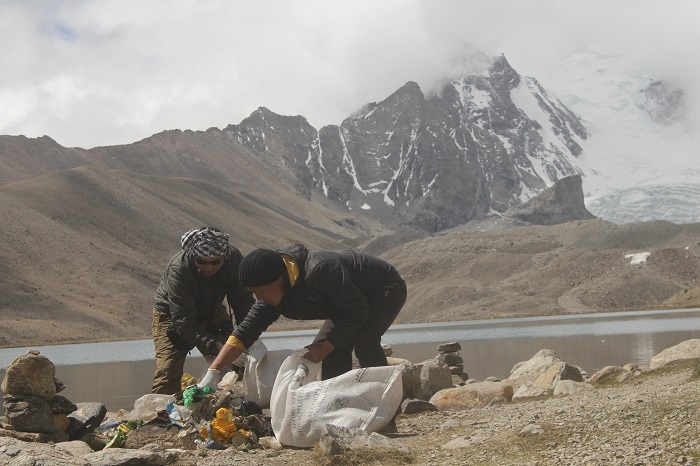 Plastic pollution is found in mountains, around crags, along and in rivers and lakes, forests and coastlines impacting disastrously on wildlife and blighting every type of habitat and landscape enjoyed by outdoor enthusiasts. Much of the plastic waste will find its way to lakes and rivers and ultimately end up in the oceans. 100,000 marine mammals and 1 million seabirds are killed every year through entanglement or by ingesting plastic litter. Tackling the problems presented by plastic waste already in the environment AND reducing the amount of waste that gets there in the future are both vitally important. This year there are 14 projects working in 16 different countries all looking for funding. All have been through the rigorous EOCA selection criteria overseen by its Scientific Advisors, and are all worthy of support. The projects have been divided into 3 categories: Nature (projects focused on protecting and/or restoring habitats), Ocean (projects restoring beaches, coastlines, and ocean habitats) and Mountain (conservation of high altitude habitats). As always, projects all address a threat to the habitat, engage and benefit local communities, and have a link and relevance to outdoor enthusiasts. EOCA is asking for people to vote once in each category and the project with the highest number of votes per category will receive the funding they requested. The winners will be announced soon after the 11th April on EOCA’s social media pages. Following the public vote, a private vote for EOCA members will be held to choose further projects to fund. To see which projects are looking for funding and to get involved in the vote, please follow this link here. Published by Mountainblog on 02/20/2019 . At ISPO 2019, Tanya Bascombe and Catherine Savidge (General Managers) present the latest news and projects by EOCA. Published by Mountainblog on 12/10/2018 . Published by Mountainblog on 11/22/2018 . Following a public vote which reached millions, and a members’ only vote, the European Outdoor Conservation Association (EOCA) is delighted to announce the 5 projects selected to receive funding this autumn. This brings the total number of projects to receive funding from the Association and its members during 2018 to 14, in 12 different countries. the final list of projects to receive funding is selected through 2 votes. An online public vote was held, in conjunction with Mountain Blog to select 3 projects for funding, followed by a vote of the members only to select a further 2. During the public vote, 26,000 votes were cast supporting the projects, and the combined reach of this vote and a similar vote during the spring has conservatively been calculated at over 48 million people. A number of well known celebrities and leading naturalists got involved in the vote this autumn. One project received a hand written letter from Sir David Attenborough supporting their project and wishing them luck. Chris Packham, Sir Chris Bonnington, Julia Bradbury and George Monbiot all got involved in the UK supporting the vote and calling for people to get involved. Involvement in the vote brings many benefits to all of the projects in that it increases awareness and support of their projects on an international platform. The vote brings the total amount of money put into conservation bodies by EOCA and its members, including its Summit Members during 2018 to over €333,000. This is funding 14 projects across the world, 9 of which are in Europe. Beinn a’Ghlo in the Cairngorms has an arctic-alpine mountain environment with tundra like characteristics and long-lasting snow patches. These characteristics combined with the steep hillsides, friable soil and fragile vegetation cover makes this upland area particularly susceptible to erosion from even a relatively small number of users. Beinn a’Ghlo has been designated as a Site of Specific Scientific Interest, recognising the importance of the area for conservation and wildlife. As well as the species-rich nardus grasslands, petrifying springs, alpine and boreal heaths and European dry heaths to be found, it is also home to several species of upland ground nesting birds, five of which are endangered, including the curlew, whose breeding population in the UK has declined by 62% in recent years. The increase in the popularity of hillwalking has led to informal paths developing, causing the destruction of wildlife habitats, particularly in upland areas. Carn Liath on Beinn a’Ghlo is a priority due to the extent of existing and potential for more, significant damage and requires a major path repair with light-touch techniques in some of the lower sections and a fully built path higher up the hillside, combatting erosion and encouraging re-vegetation. Obsolete facilities are disused artificial equipment abandoned in natural mountain areas. These lengths of barbed wire, abandoned ski lifts or various cables are a real plague for wilderness, environment and outdoor enthusiasts in mountains. Until recently, there was no obligation to remove these old structures, even though they represented a great danger to humans and wildlife. Paragliders have recently been killed after hitting cables. Birds, including vultures, eagles and owls are regularly killed or injured by cables and other facilities – 835 carcasses were found between 2000 and 2004 in one study. Mammals, and amphibians are also trapped in these items and either injured or killed, particularly in winter when the structures are hidden by snow. This project, will continue the work of Mountain Wilderness, to raise awareness of the issue with local authorities, outdoor enthusiasts and online, and carry out 4 dismantling operations in Mercantour National Park, Vanoise National Park, Mont Cenis Massif and Cerces Massif, where barbed wires and other scrap remains from WW2. In total, it is anticipated that over 100 people will be involved in clearing over 260 ha of 9 tonnes of metal. The Cut Gate bridleway runs through an area of internationally important and stunningly beautiful blanket bog habitat in the Peak District National Park. The bridleway is popular with walkers, mountain-bikers and horse riders who have championed a campaign to protect Cut Gate. The fragile peat layer has suffered from erosion and the widening of the route, which is putting pressure on the surrounding habitat of blanket bog vegetation. The project will repair three sections of the popular upland bridleway which have become highly eroded and prone to flooding. The waterlogged surface results in users taking a wider route, further damaging the surrounding blanket bog habitat, vegetation and peat. The bridleway will be sensitively repaired using local stone, encouraging users to follow the path to prevent further damage to the surrounding habitat, while still preserving the character of the surrounding landscape and the enjoyment of the route. The red squirrel is the most beloved mammal in the UK and an iconic species of Caledonian pinewoods. 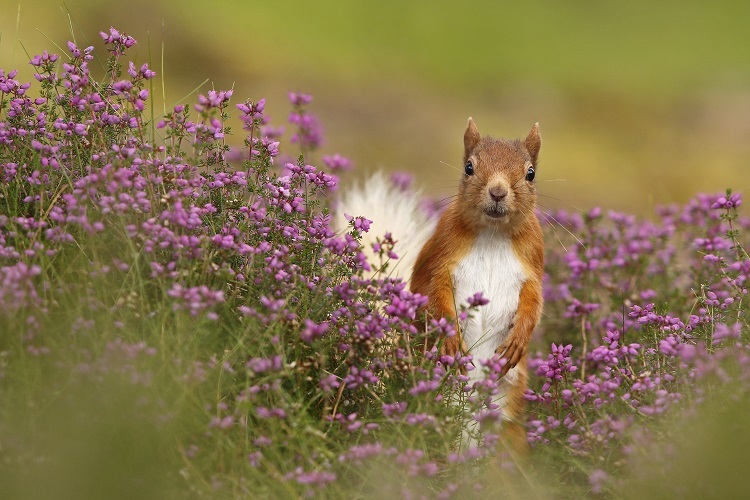 Scotland is the last real UK stronghold for reds and this project aims to strengthen the conservation status of UK’s red squirrels by establishing new, self-sustaining populations in areas of the Highlands free from the threats of grey squirrels and disease. Trees for Life has been involved in pioneering this translocation technique and early efforts have successfully established new flourishing red squirrel populations in a small number of Scottish locations. The project has identified several forest areas in the Northern Highlands of Scotland which are perfect habitats for reds but which they can’t reach on their own due to the large areas of open ground in between the forests and their current range. With the support of landowners, relevant authorities and local communities, they will re-introduce 4 new populations of red squirrels to these areas and inspire people to care for them through community events, annual surveys and citizen science observations. Cambodia’s wetlands are some of the world’s most valuable ecosystems, supporting a wealth of endangered bird, fish and plant species and providing a vital source of food and income for vulnerable rural communities. But in just 15 years, half of Cambodia’s wetlands have disappeared. This project will restore two globally important protected areas in the Lower Mekong Delta, which support half the regional population of the Sarus Crane – the world’s tallest flying bird and an iconic flagship species of open wetlands. Agricultural encroachment, invasive species and the overharvesting of wetland esources have led to a dramatic decline in the Sarus Crane population, and without urgent action to restore its habitat, the regional population will be lost forever. The project will restore 200 hectares of degraded habitat by working with local communities to clear invasive species, and will educate 1000 local people and schoolchildren on the importance of wetlands and the sustainable use of natural resources. The project will also provide training and support to a community ecotourism initiative, enabling it to provide inspiring outdoor experiences for a growing number of visitors and increase income by 25%, generating muchneeded funds for community development and wetland conservation. Published by Mountainblog on 10/08/2018 . For the 4th year as a media partner of the European Outdoor Conservation Association EOCA, MountainBlog is very happy to host again the autumn EOCA vote for conservation! This will give our readers the chance to help choose which valuable conservation projects EOCA funds this year. EOCA is a conservation charity which has over 139 member companies that pay an annual membership fee which is spent on conservation work around the world. During July, EOCA was open for applications for funding from organisations looking to implement valuable conservation projects around the world. They received a staggering 85 applications and e have spent their summer reading through all of these applications, assessing them against the EOCA strict guidelines and have produced a shortlist of the projects which best meet the criteria. Now these projects need your help! From 00.01 (GMT / CET+1) on 8th October to 12.00 noon (GMT/CET+1) on 22nd October, MountainBlog gives the possibility to read the details of the shortlisted 4 projects. Please, take a minute to read though them, choose your favourite and click to vote for it – it is that simple! The project with the most votes will get funding to carry out their work so your vote really can make a difference. What are you waiting for: help the environment, go on www.mountainBlog.it and vote now! Published by Mountainblog on 07/30/2018 . Following a successful 4 days at the show, the European Outdoor Conservation Association (EOCA) is delighted to announce having raised over €25,000 for conservation and gained 3 new members. Amidst the flurry of activity that saw the staging of the 25th OutDoor show in Friedrichshafen last month, there were fundraisers, cocktails, sandals, press conferences and tree celebrations making it one of the most successful ever for the conservation charity. In addition to their popular sandal sale during the show, KEEN further supported their Banda Aceh Mangrove planting project through an innovative donation wall on their stand. Guests to their legendary KEENFEST BBQ were invited to purchase branded reusable cups, which not only saved waste and entitled the holder to free drinks all night, but also raised €1500 for the conservation project, bringing the total raised at the show for this long term partner of KEEN to a fantastic €5000. Klean Kanteen sold special edition steel pints with straws and raised €1600 for EOCA’s 2 Million Tree project – contributing another 4000 trees. 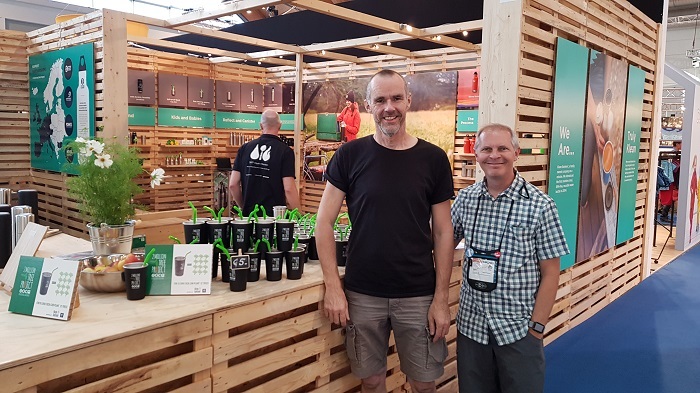 Bergans of Norway’s ReDesign project made new products from old on their stand and raised €424 which equated to 1060 trees and The North Face raised €386 with their ReMade project, equating to a further 965 trees. Gregory Packs ran an impromptu collection during their Happy Hour collecting €202 and Ternua designed a roll away pack to raise money for EOCA, selling out on the first day of the show and raising €750 to fund nearly 1900 new trees. Not only this, but since the show closed it doors, three new members have signed up to EOCA: UK Tree Tent producer Tentsile, Taiwanese high-tech, functional textile manufacturer SINGTEX and Polish down-insulated gear manufacturer PAJAK. Finally, the show was one of celebration as the Association announced it had reached – and surpassed – its target of planting 2 million trees to commemorate having raised €2 million in 10 years. Leaving a solid and lasting legacy from the European outdoor industry, the total stands at 2,081,276 trees, with the charity having now funded the planting of 2,668,722 trees since it started in 2006! Joint General Manager Tanya Bascombe said, “The OutDoor show this year was one of celebration and excitement. A huge amount of money has been raised by and on behalf of EOCA, thanks to our generous members; we have welcomed new companies to the Association and all our members are proving that the industry, by working together, is having a very real and positive impact on our wild spaces’. ENO and Stanley named as EOCA Conservation Champions! Published by Mountainblog on 07/11/2018 . 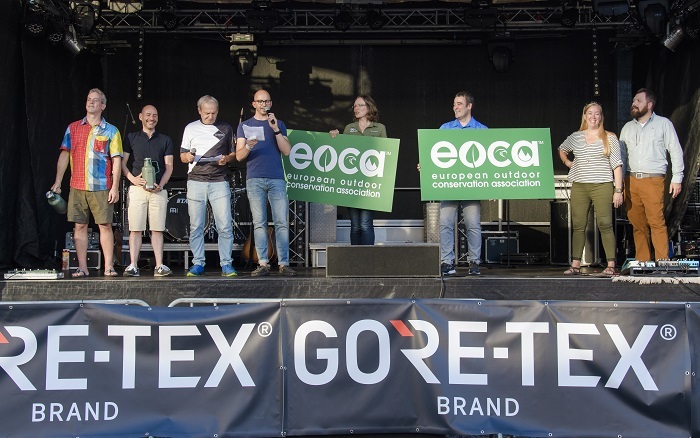 Every year, the European Outdoor Conservation Association (EOCA) gives the ‘Conservation Champion’ award to members that have ‘gone the extra mile’ to support conservation. The award recognises members that have taken the initiative to raise extra money for and awareness of conservation through the Association. EOCA is delighted to name Eagles Nest Outfitters (ENO) and Stanley – a PMI brand, as its Conservation Champions for 2018. ENO approached EOCA soon after joining the Association with an ambitious plan to become the first member to custom design an EOCA-specific product to be sold at retail. The resulting stunning hammock in EOCA’s colours was launched during the conservation fundraiser at OutDoor 2017 and has since been sold at retail across Europe. A percentage of the sale of each hammock is coming to EOCA to be spent on conservation projects around the world. products have been hugely popular and their sale has funded the planting of many thousands of trees as well as supporting other conservation activities. Published by Mountainblog on 06/12/2018 . EOCA Conservation Vote Starts Today! Published by Mountainblog on 03/09/2018 . The next European Outdoor Conservation Association (EOCA) public conservation vote has just gone live and voting has started in earnest! Anyone with an interest in conserving threatened wild spaces, species and habitats is being asked to go online and have their say as to which of the proposed nature conservation projects should receive funding of up to €30,000. The ever popular spring vote, which has taken place each year for the last 8 years, asks the public to help EOCA choose projects from three approved shortlists. The project in each category (Mountain, Forest and Water) with the most votes will each gain funding of up to €30,000. Media partners Alpin and The Great Outdoors are supporting the Mountain category highlighting the projects in their magazines and online during the vote itself. Joint General Manager Tanya Bascombe explained the importance of the process. 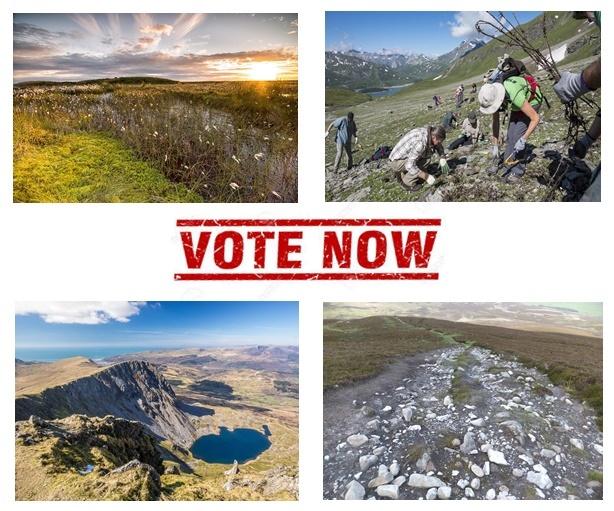 “As well as raising awareness of what the European outdoor industry and EOCA’s member companies are doing to conserve and protect wild spaces, the voting process is a hugely beneficial opportunity for all of the conservation organisations involved. They are on an international stage, raising awareness of important conservation issues and gaining new support for their work along the way. This is about the European outdoor industry giving back – conserving the great outdoors and its various habitats and species which the industry and its customers are so passionate about”. The public vote has attracted huge interest internationally over the years, with national radio stations, newspapers, politicians, celebrities and many people on social media all getting involved in encouraging people to join in. The coverage acheived is staggering, with over 60 million people reached in the spring of 2017 (statistic from Outdoor Bloggers Network) making the process a valuable tool in raising awareness of critical conservation issues around the world. In eleven years, EOCA has given over €2.3 million to conservation projects around the world, some chosen through the public vote, and others by the association’s members. 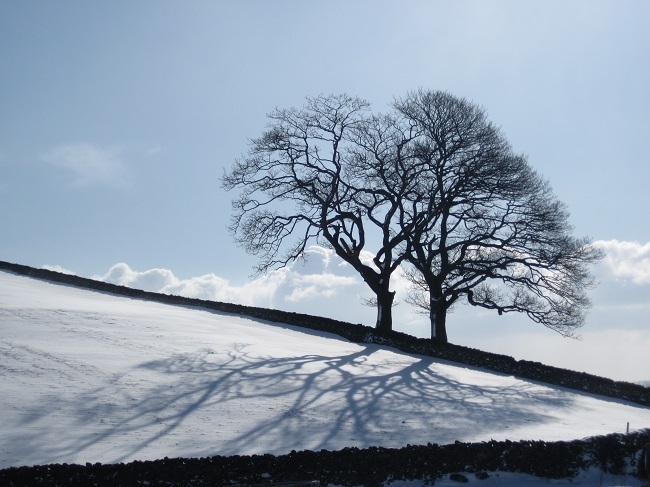 * EOCA defines 'wild places' as non-urban environments and ecosystems occurring in as natural a state as possible, given the area's location and use. This may include for example moorland, hills, mountains, coasts, rivers, forest, grassland, peatland, lake and ocean areas. There are currently over 130 members of this not-for profit Association, stretching from Norway to India and from the UK across to the Czech Republic. As a charitable organisation directly funding specific projects, the association wants to proove that the European outdoor industry is committed to putting something back into the environment, and all working together a real difference can be made.